A new pic! 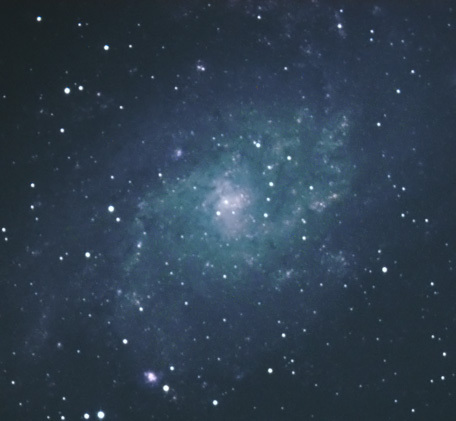 This galaxy is designated M33, it's in the Summer constellation Triangulum. I took this image on Oct 24th from the backyard, and finally got around to finish processing it tonight. I'm going to try this one again from a dark sky site sometime, I'll be able to get more detail and more accurate colors.